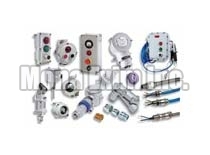 We are an established Manufacturer, Supplier and Exporter of Electrical Fittings. The Electrical Fittings offered by us are known for their high dimensional accuracy, excellent quality and high durability. We manufacture the Fittings using advanced technology and quality-tested materials. Buyers are free to place bulk orders of the Fittings with us and we ensure their timely execution. One can obtain these at affordable rates from us.